The Race is on… The first 50 entries will receive a discount! A great way to start the New Year with a day out in Cleethorpes and who knows, perhaps a PB. 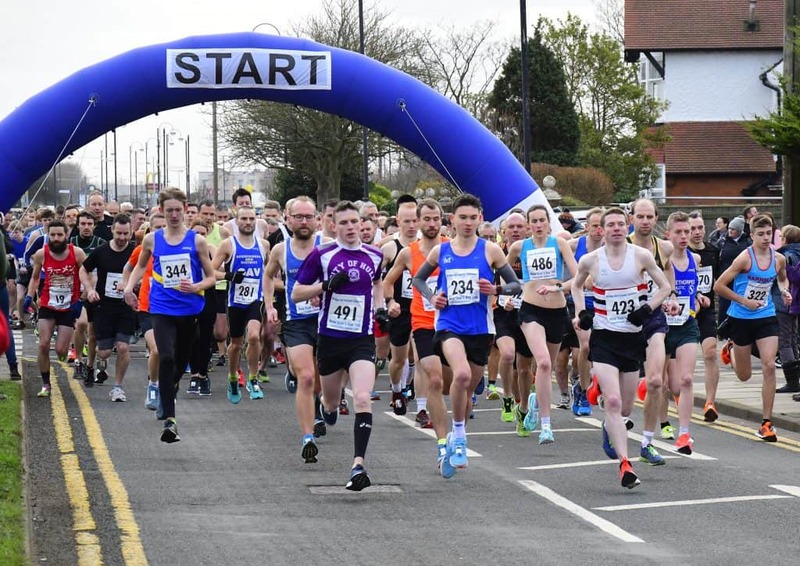 This fast, flat race is held around the streets of Cleethorpes and Humberston. The UKA measured course comprises of 2 small loops and 1 large loop making it ideal for spectators. It is well marshalled and uses chip timing. Each finisher is awarded with a Technical T-shirt. 10.30am. Kings Road, Cleethorpes. Please note that this is approx 20 mins walk from the race HQ. If you are approaching from the A180 follow the signs to Sea Front, then Pleasure Island. From the A16 pass Tollbar roundabout, use the by-pass and follow the A1098. At Tesco, turn right and then follow the road to the HQ. From the A46 use either Clee Road or Humberstone road. The Beachcomber is situated on North Sea Lane. Numbers to be collected on the day from Race HQ, the Beachcomber. No numbers will be posted out. Club colours/running vests are to be worn to be eligible for any team prizes. For your own safety, please obey any instructions from an official race Marshall. Any person failing to follow the instructions of a race official or marshal or road sign will be disqualified. Can be collected from the HQ after the race. Will take place at the HQ as close to 1300 as possible or as soon after completion of the race whichever is first. As per UKA regulations, the wearing of headphones, or similar devices, (other than those medically prescribed), is not permitted in this race. Results will be posted on the Cleethorpes AC website, Powerof10.info, Cleethorpes AC facebook page or can be e-mailed direct to you. Drinks will be available at the finish. Other refreshments will be on sale in the Beachcomber, including food.